A local arts organization has set up an installation to help a Toronto community heal after the deadly van attack that devastated the city earlier this year. The organization says the Toronto Love Project was initiated by local artist Berene Campbell and features long quilted banners "stitched with messages of hope, peace and love." Campbell spoke with CBC Radio's Metro Morning about the tribute on Monday. You can hear that interview in the clip below. 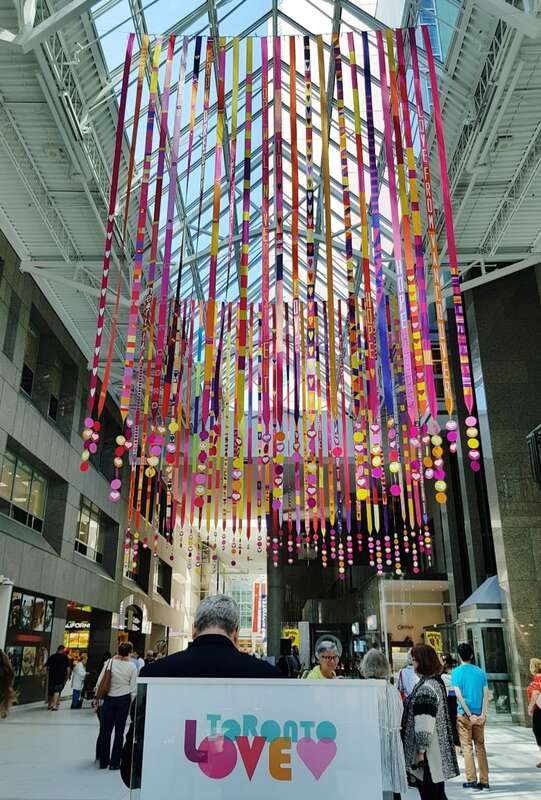 Campbell says the installation, which will be on display until Sept. 8, is meant to give the community a boost and "counter the hate and sadness of the attack." Eight women and two men died in the April 23 attack that also injured 16 others and prompted an outpouring of support throughout the city. Toronto police have charged 25-year-old Alek Minassian with 10 counts of first degree murder and 16 counts of attempted murder. The people who died ranged in age from 22 to 94, and included a student from South Korea and a man from Jordan. Police have not disclosed a motive for the attack but said evidence gathered so far does not meet the threshold for terrorism. Minassian is next scheduled to appear in court on Sept. 14.